The OR analyst in search of applications need look no further than the immediate surroundings. Opportunities abound. Sometimes solutions will come more from common sense (often with a particularly human component) than from high-end mathematics. Wondering how solid waste was being handled at our institution, and if this could be improved upon, we set up a senior project to investigate the problem. The students were supplied with only a statement of the problem and a paper (mentioned in this post) describing a similar study at Ohio State University. They proceeded to find the right people on campus to talk to and conducted a series of interviews with them. With some minor direction from us advisors, they uncovered the structure of the waste flow network, obtained the key data, investigated alternatives, honed in on what the actual decisions were, and set up an optimization model. The OR from the “classroom” used in the project was fairly straightforward – a multi-objective linear program. But the group uncovered a number of aspects of the waste flow network and the way it worked that could be improved upon by some common sense improvements in communication, organization, and education. For example, even though there were separate bins for mixed and white paper throughout campus (see photo at top), cleaning crews were combining contents of the two types when collecting them. Why? White paper bins were supposed to only be for white computer paper, not notebook paper, pad paper, and other kinds of lesser stock. The computer paper is more valuable as a source for recycled paper. And since most people did not know this, the white bins were effectively contaminated with mixed paper. So there was no real reason to keep them separate anymore, hence the mixing. A possible solution is better signage coupled with some education. All told, the group arrived at a number of useful recommendations. Some of these were results of the optimization which indicated which of the alternative waste disposal methods plugged into the model were present in the optimal solution (the two objectives were to minimize cost and to minimize environmental impact). Examples of recommended alternatives included composting of yard waste, compacting refuse, baling cardboard, waste reduction education, green purchasing to minimize hazardous waste generation, etc. And as mentioned above, some of the recommendations arose not from the optimization but from talking to people working first-hand with the waste flow network and thinking up some common sense solutions. These included a solution to the paper sorting problem, assigning recycling managers to each building to ensure proper overall recycling, and utilizing the structure of the cadet corps to better organize waste disposal and recycling. 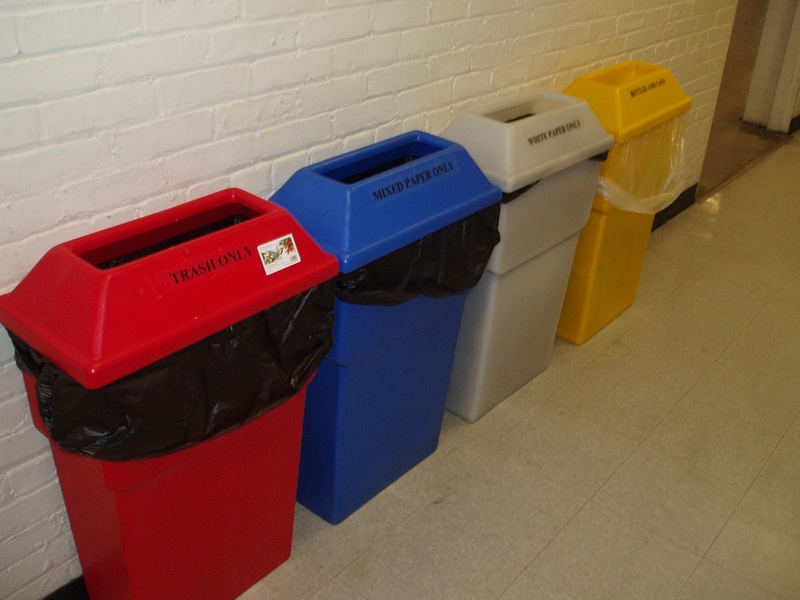 Analyzing Waste Flow at the United States Coast Guard Academy: Minimizing Cost and Environmental Impact by E. Hartmann, N. Moyer, M. Tate, and M. Vanderslice, USCGA Dept. of Mathematics Capstone Report, Spring 2008, Advisors: I. Frommer, M. Case, and M. Zamperini.